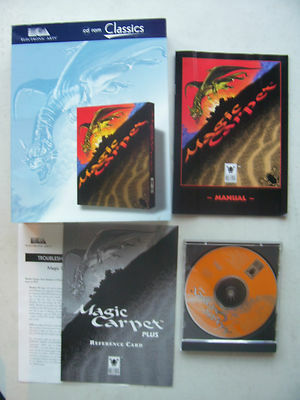 Magic Carpet plus includes Magic Carpet and Hidden worlds. Bullfrog's classic epic is a thrilling fight to the death; highly original blend of non-stop arcade action and strategy. A real-time landscaping engine combines exquisite graphics, awesome game play and one of the fastest flying experiences ever seen on PC. get ready to take a Magic Carpet ride to glory.